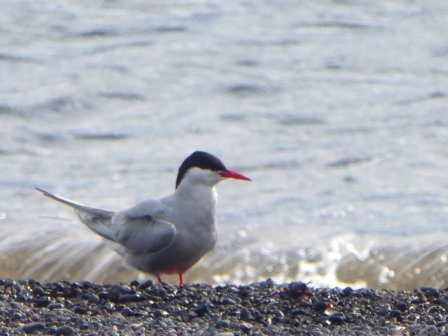 Iceland may not be the first place that springs to mind when thinking about a beach holiday but think again. Just think a little differently. 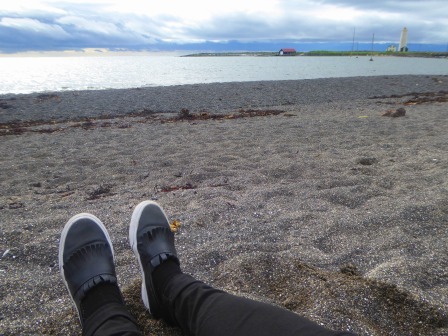 Iceland has miles of beaches and, although it may sometimes be a little chilly for sea-bathing, a day at the beach is still a welcome treat. 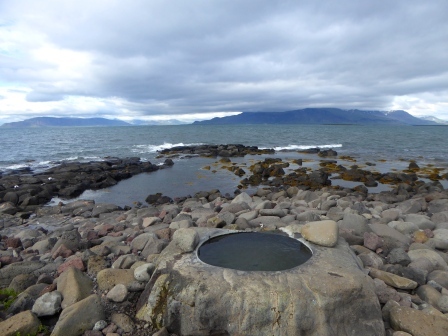 First up, in the north-west of Reykjavik at the very end of the Seltjarnarnes peninsula, is the tiny tidal island of Grótta. It can only be reached safely at low tide, by way of a stone causeway. 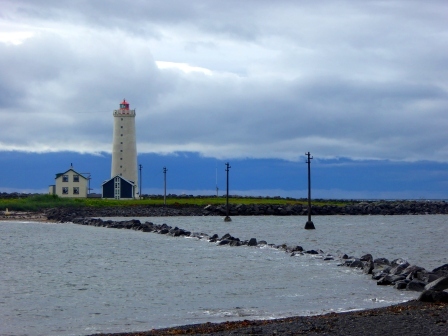 When I visited, having walked the couple of miles up the coast from downtown Reykjavik, the causeway was just visible but being washed over by the freezing north-Atlantic. 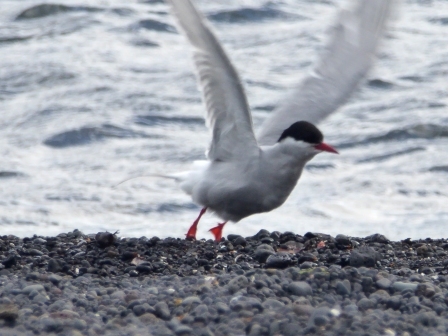 In any case, the island has been strictly off-limits since 1st May, for the protection of nesting birds (Grotta is a nature reserve). 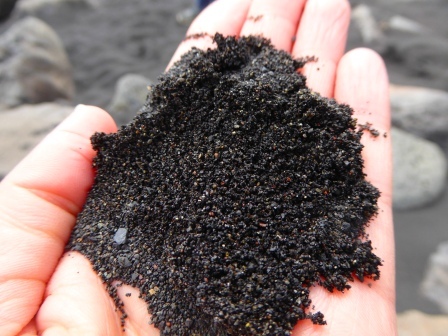 The beach here is made up of a mixture of light and dark particles of crushed rock and shell. 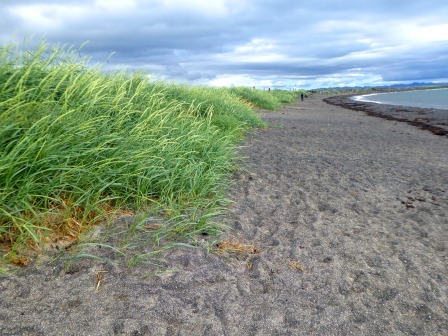 And grasses line the edges of the beach, quite close to the water’s edge. It was a pleasant evening so I had a little chill-out here, watching the terns and gulls swooping about, catching little fish. 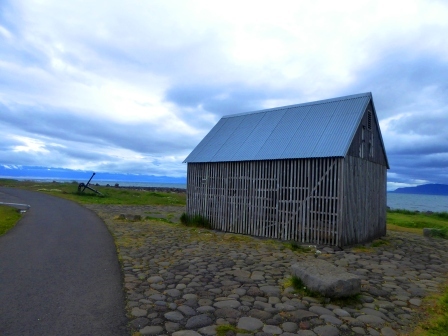 On the coast nearby is a fish-drying hut (a bit smelly). And there is also a small hot pool. Perfect for bathing feet after a long walk. 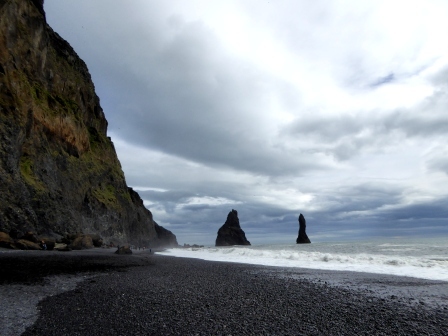 Icelandic landscapes tend towards the elemental, the stark, the dramatic. 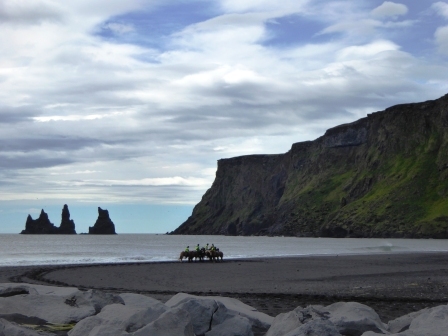 We see it in the volcanic landscapes, mountains and glaciers. 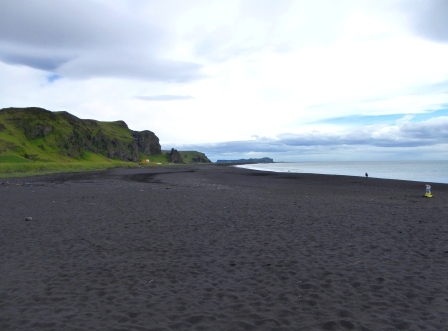 The south coast (as well as other areas) provides enough drama for even the most demanding audience, with miles of black sand beaches. 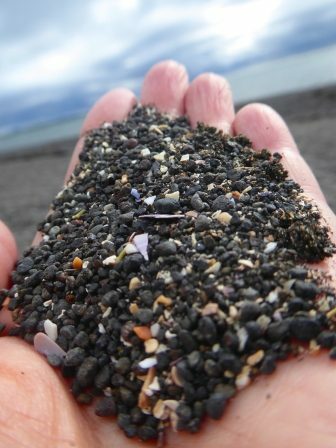 Near Vik, the beach is made from finely ground black basalt, pulverized by the north Atlantic. 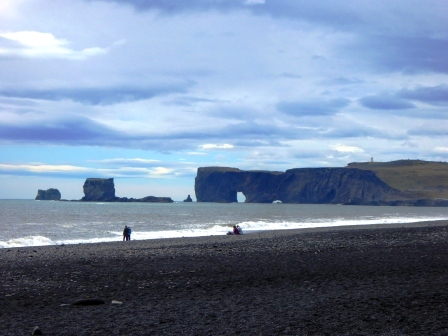 Dotted along the coastline are sea-stacks and rock arches, the remnants of long-since eroded cliffs. 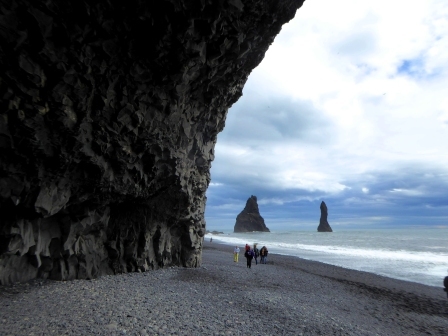 A little way down the coast from Vik is Reynisfjara beach. 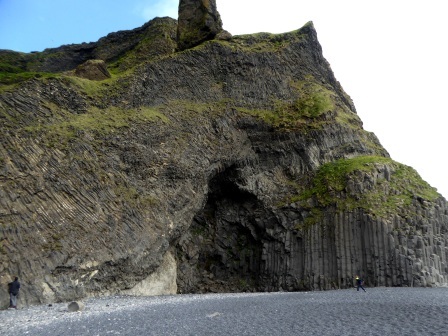 Here, the stunning black sand and pebble beach also has caves, basalt columns and cliffs of slate shards. 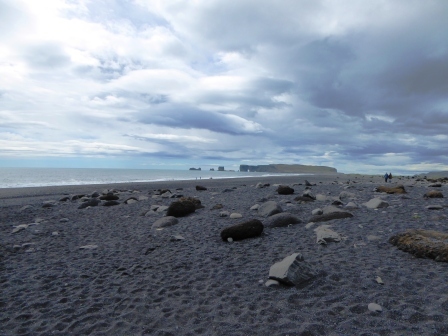 This is a must-see stop for tourists, so the beach is quite busy at times (I was fortunate is getting a few photos with just enough people in them for scale, but not too many to detract from the natural beauty). The waves you can see in the photos don’t look too alarming but they are, in fact, lethal. The force and reach of the breakers is so deceptive that every year people are caught out by them. 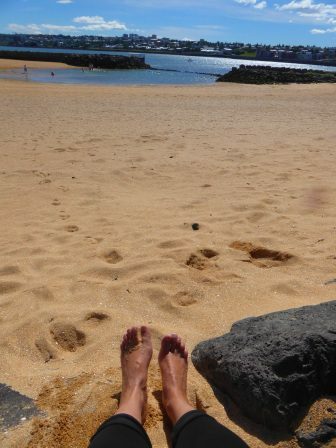 In February of this year, a tourist taking photographs at the beach was swept out to sea and killed. 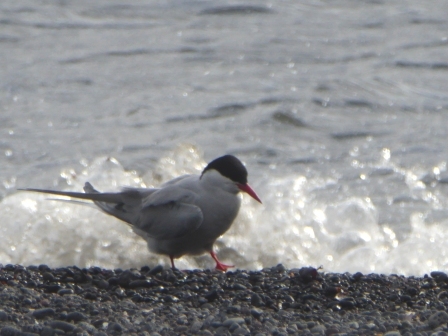 If you do visit, do take note of the tide-line and keep a close eye on the incoming waves. 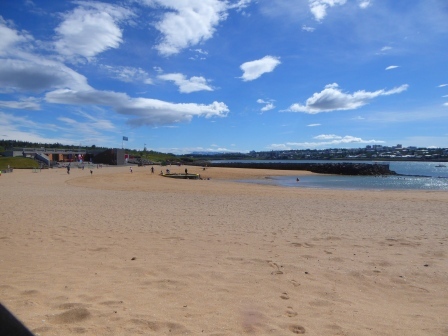 Iceland doesn’t really have the golden sands of traditional beach holidays but in a suburb of Reykjavik, just close to the university, is a lovely, golden-sanded beach; Nauthólsvík. Created especially to give the urban population a little pleasure beach nearby. 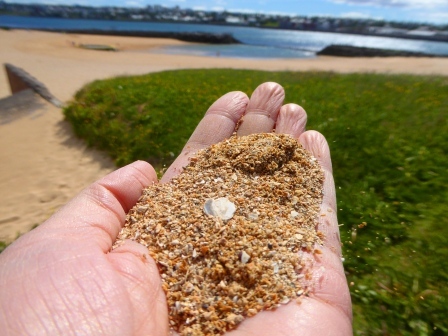 This is a man-made beach, utilising golden sand brought in especially for the purpose. 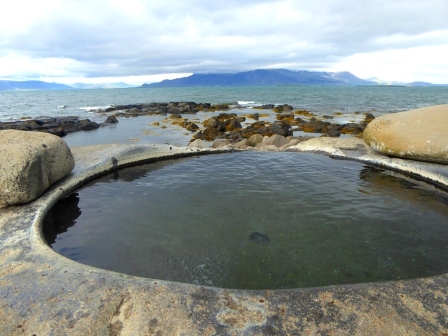 The water here is much too cold for all but the hardiest of swimmers to bath in but the construction of sea walls enclosed a small lagoon and allows hot geothermal water to mix with the cold sea water, raising the temperature to a more tolerable level for bathing. 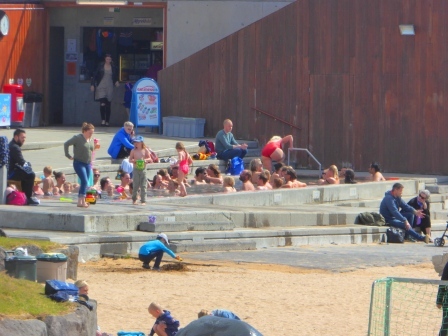 Opened in 2001, it’s hugely popular with Reykjavik residents, particularly as it’s safe and clean (it’s a blue flag beach), and has hot tubs and changing facilities. Outside the enclosed area are other beaches that have been left much more to nature, with seaweed, wading birds, shellfish and moon jellyfish. This is the perfect spot for a Sunday chill out. 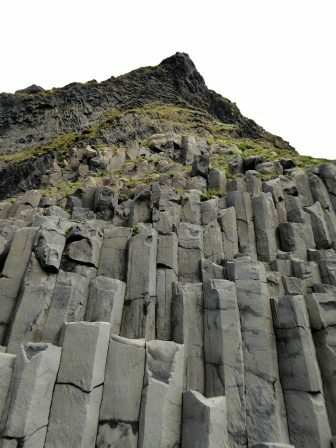 This entry was posted in iceland, The Big Wide World, Uncategorized and tagged basalt, beach, cave, iceland, lighthouse, sand. Bookmark the permalink.